An Austrian pine tree stricken with pine wilt. By Mateinsixtynine, CC BY-SA 3.0, Public Domain via Wikimedia Commons. Get ready for Pine Wilt Disease 101 in under 15 minutes! For episode 16 of the Mid-American Gardener Podcast, host Victoria Shepherd sat down with entomologist and retired associate professor, Jim Appleby, to break down PWD. From the pesky nematode to recommendations for new evergreens, Jim shares his knowledge and even teaches Victoria a thing or two. 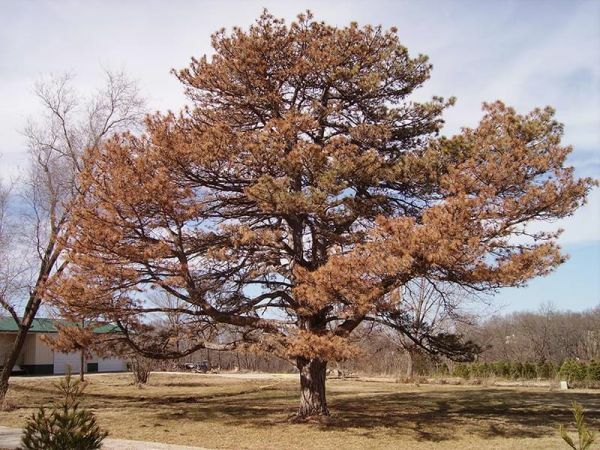 For more on Pine Wilt Disease, visit University of Illinois Extension.